After years of expereince in Fitness, Yoga and Pilates, accepting our visitors suggestions, we offer you reorganized fitness section where you can find information about everything regarding to Fitness, Yoga and Pilates. Additionaly, we explore market regulary searching for the most affordable exercise equipment. Exercise Bikes: Buying an exercise bike could be a good investment in your own health. There are several types available, including: Upright Exercise Bikes, Recumbent Exercise Bikes, Indoor Spinning Bikes, and Dual Action & Fan Exercise Bikes. Treadmills: According to the construction, treadmills can be Folding Treadmills usually designed for home use, and Treadmills for Running designed to be used in health clubs, as a non-folding machines. Home Gyms: Designed to provide you the most of the features you can get in a fitness club, but to be used in the comfort of your home. Rowing Machines are excellent pieces of home fitness equipment that are designed to simulate the movement and exercise gained from rowing a boat. Stair Steppers are relatively compact aerobic exercise machines that offer primarily a lower body cardio workout. Mini stair steppers are small, light, easy to use and very cheap! Fitness Balls: How to choose a perfect exercise ball. Muscle Stimulators: Review on EMS and TENS muscle building devices. Bowflex: The finest exercise equipment for home use by the top manufacturer. Diamondback: Diamondback is one of the most famos manufacturers of bicycles and BMX bikes. However, they also offer a line of very popular indoor exercise bikes, elliptical machines and treadmills and other fitness equipment. Horizon: Good and affordable fitness machines for home use. Kettler: Reputable, but not so cheap brand. 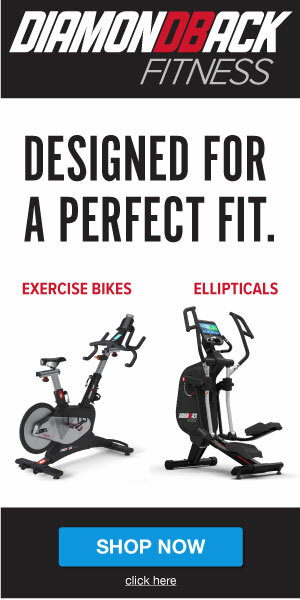 Life Fitness: Quality and modern products. Their equipment is among top rated machines by real users and fitness expert reviews, in all categories. NordicTrack: Widely popular due to its low price, but at the end you get what you pay. Precor: offers premium fitness equipment for home and commercial use..
ProForm: In our humble opinion, ProForm equipment is overpriced. Stamina: Widely popular due to low prices. Antioxidants are molecules that slow or prevent the oxidation of other chemicals. Creatine Supplements: We have reviewed a lot of creatine products and compared them by price, expert opinion, consumer reviews and more to help you choose the best creatine supplement for you. Growth Hormone is also called "somatropin" and "somatotropin" (British: "somatotrophin"). Meal Replacements Review: These are probably the most valuable and underrated supplements on the market. Nitric Oxide (NO2): Nitric Oxide is a free form gas that is produced in the body and is used by the body to communicate with other cells in the body. Vitamins & Minerals: Learn more about vitamins and minerals and why your body need them. How to Evaluate and Purchase Quality Home Exercise Equipment: Are you thinking about buying a home exercise equipment. But... what equipment will do best for you? Physical Activity For Weight Loss: Simple exercises to lose weight at home. This was the best rated article for the year 2008, by our visitors opinion. The author is also one of our readers. Buying an exercise bike? : We've reviewed exercise bikes by price, brand, experts opinion, consumer reviews, buying conditions, quality of construction and more, to help you choose the best model without paying a lot. What is Heel Drop? : Top running shoe brands recommend that runners slowly reduce their heel drop over time. Heel drop running shoes explained. Back Care: Back care tips for better health.